In early 2014 the American College of Physicians (ACP), who was among the first nine specialty society partners of Choosing Wisely, released a series of free online cases and questions through their High Value Care (HVC) initiative in support of the core concepts of the campaign. 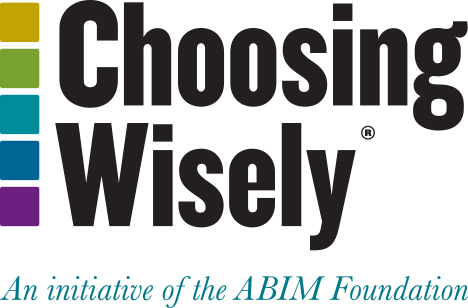 The modules are available in part through the Choosing Wisely grant program, administered by the ABIM Foundation, and supported by the Robert Wood Johnson Foundation. ACP plans to promote the modules at regional and national meetings, and an online discussion board will be created to encourage ongoing dialogue on these topics. ACP plans to explore future subjects, which could include challenges in communicating with patients and how to overcome barriers to implementation of recommendations. Physicians who complete the entire educational program online will be asked to complete a survey. Results of the survey will be analyzed to assess the extent to which the HVC program positively impacts physicians’ clinical behavior and physician/patient communication. The HVC cases are a useful tool for health care providers who want to learn more about the Choosing Wisely campaign and how it relates to high value care while improving their patient communication skills. Health systems or membership organizations may want to use the tool as part of a Choosing Wisely implementation or quality improvement plan.